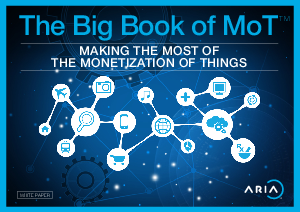 The Big Book of MoT is designed to give our readers easy access to practical and useful information about monetizing the IoT. We separated the fluff from the good stuff, by going beyond what’s strictly relevant to the IoT’s capacity for monetization, with the inclusion of perspectives that also look at the IoT from other angles. Yes, the Internet of Things is complicated. But getting it right is will be imperative. We hope you enjoy The Big Book of MoT and that it provides you with information that helps you grow your business for years to come.